Dr Matthew Browne is a lecturer and mathematical psychologist at CQUniversity and biostatistician in the Institute for Social Science Research. He has 10 years experience in applied statistics for the biological and social sciences, and has published 33 peer-reviewed papers as journals, book chapters, client reports and conference proceedings. He has led major grant-based projects funded by the SMRJ (Japan), Australia-Japan Foundation, and the DIISR. His research interests involve the application of mathematical methods to address questions relating to human behaviour and cognitive function. 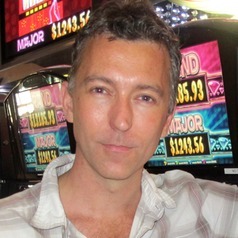 His current projects include assessing player expertise via modelling the distribution of betting returns, and the investigation of explanatory factors for individual differences in gambling consumption.